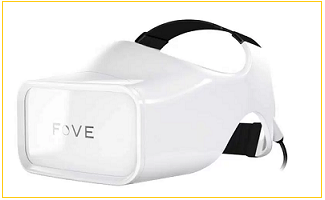 In 19s, there was some startup called Forte VFX1 came with first VR headset in a market but didn't work well due to lack of technical support and interest among users. Recently in 2012 Virtual reality concept started popping with emerging smartphone and display technologies and Oculus rift took the opportunity. 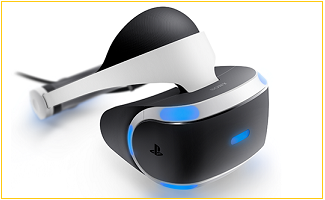 Soon later other players such as HTC Vive, PlayStation VR came in the picture with satisfying results and overall performance. Technology giant such as Google and Samsung further researched the VR capabilities with projects naming 'Google Cardboard' and 'Samsung Gear VR'. You can experience Virtual Reality in totally different ways. 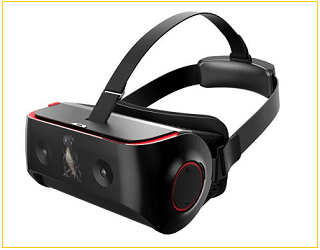 The basic cost-efficient entry-level VR headsets such as cardboards, Premium smartphone enabled headsets are the basic tools you can enjoy. Don't get confused with different VR tools available right now in the market and they are a just different version of a basic thing 'virtual reality display'. 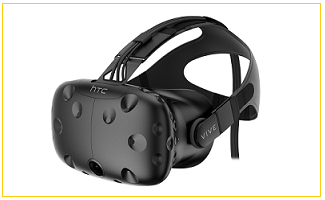 But definitely, don't expect that a $25 cardboard with easy smartphone mount will give you same experience of fully automatic wearable VR headsets such as HTC Vive. So what's the difference between Virtual and Augmented Reality? AR (augmented reality) connects a user to a virtual world in real time and still being able to distinguish between two. In such world, he/she communicates with virtual content and still remains in the present. The best example of AR is Google Smart Glasses. Whereas VR (virtual reality) takes the user into a totally different world without being able to differentiate between what is real and virtual. In experience, VR is amazing but quite difficult while a person comes out of it. Which one is best? So far AR (augmented reality) products and services are far ahead of VR but still, virtual reality is something people will surely try as it is really interesting and beyond imagination. Augmented reality is gaining more commercial success as it does not take people to completely new world losing their current identity or presence. A 20 mins with VR headset and one may fall off a cliff! VR has great industrial use as it does not need to construct anything physical and can create amazing models with your imagination. You might also like "3DMark adds VRMark Indices for eye-popping VR devices"
Latency - It is also related to delay caused by sensory to the motor system. It is also called as 'simulator sickness'. This delay sometimes creates nausea in user's head as its movements are delayed by VR digital receivers. Head Tracking - VR device will track your head movements and positional tracking using inputs from an infrared camera, gyroscopes, and magnetometers. Resolution - It is a quality of an image on headset screen. More pixels will give better viewing results. Input Controllers - These are the controllers used by a user to transmit movements into digital data to create action on screen. It is similar to joystick or treadmill. These are tethered to a PC, to transfer movements and data. 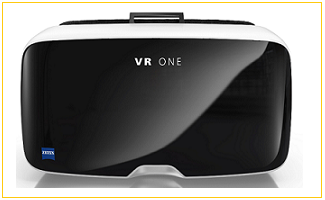 VR headsets are made up of plastic which is wearable with strap and has lens fitted to enlarge smartphone display view. The user also has a freedom to use other accessories such as game controllers. It also has a compartment to fit your smartphone easily. There is Virtual Reality enables videos which are specially made having split into two parts so that one feels 3-Dimensional views through them. So far, VR was moreover an Android accessory but even iPhone has got special attention. Occipital Bridge headset is specially designed keeping iPhones in mind. iPhones are already powerful devices from Apple and yes, now virtual reality will gain more attention in terms of speed and performance. Exclusively made for iPhone, Bridge has additional hardware that makes it unique. A positional 'structure sensor' and wide lens adapter for camera work together to sense all your head movements and also notes your location related to surroundings. It has dedicated infrared sensor which measures distance. This will give similar experience found in latest HTC Vive with full room support. More interestingly Bridge can also monitor the things around you. It creates wireframes for the objects around you and can help you guess the things you are touching without having additional sensors in the room or hard wire cables connected to PC. 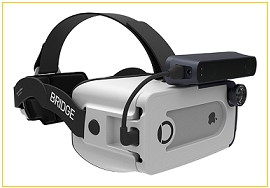 The bridge is capable of combining both virtual and augmented reality (mix reality experiences) and Occipital is rolling out both 'Explorer Edition' at $499 and a Standalone headset with a single Bluetooth controller at $399. Inside-out 6DoF positional tracking, 60fps refresh rate, iOS 9+ operating system, PMMA Optical-grade Acrylic lens, 326 ppi resolution display. This gadget works with Google's Cardboard app to launch your favorite VR experience. It is one of the initial VR projects by Google announced at I/O in June 2014. 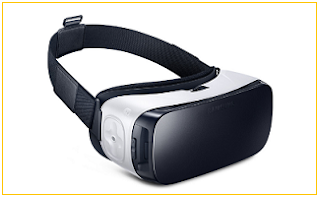 They say it is most usable VR gadget by Samsung. Its limitation includes its working support only with Samsung flagship models. 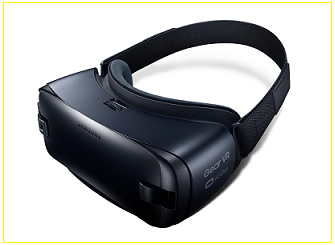 Costing at just $99 (AUD 159 & 80 Euros) (Assuming that you already have Samsung phone) Gear VR is the best option to go for at low cost. Rest stay assured for comfort and performance. Samsung has upgraded this device with a new one with, vents, more space inside and few more features which work best. It comes free with new Samsung flagship phones, all supported content is powered by Oculus and freely available on Google Play Store. Also see "Some of the Amazing VR content to Watch this Year"
It is a high-quality virtual reality platform from Google coming in 2016. 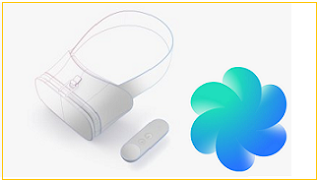 Finally, Google Daydream VR is set to be released on 4 October 2016. Its price will range from $79 or Euro 69. You will be able to buy it in Nov. 2016. Daydream View VR will be a much cheaper option compared to other high-end VR devices which again need external aid such as PC, long cables, camera sensors etc. 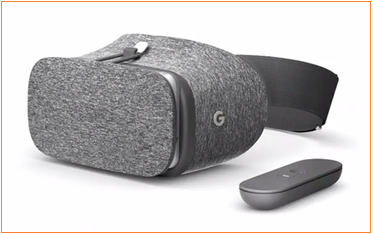 Newly launched Google Pixel X and Pixel XL are Daydream View VR headset ready. Other than that Asus Zenfone 3 Deluxe and ZTE Axon 7 are Daydream ready. Daydream platform is to be built into Android OS and will come with Android 7.0 Nougat. It will combine software and hardware capabilities into Phone to make them 'Daydream-Ready'. 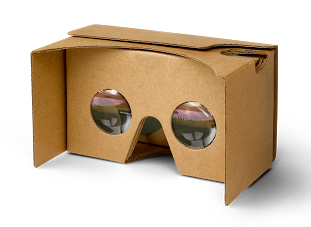 It is a successor to Google Cardboard. (No need to mount Smartphone) worth at $199. LG recently enters virtual reality market with 360 VR. It is compatible with G5 series latest smartphones. Weighing just 117g 360 VR is an amazing experience. It is surely more compact than Samsung Gear VR and certainly travel-friendly. 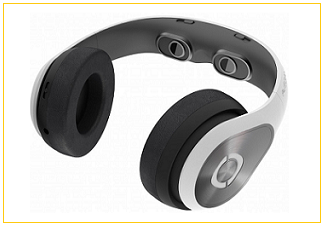 The Avegant Glyph headset is a wearable, portable movie screen. It is lightweight and focuses more on surround sound which creates a theater-like environment and much suitable for video and movie lovers. One of the special features about this headphone is, just flip it up and it becomes a 'premium' headphone. This successful Kickstarter project has raised over $1.5M to date. 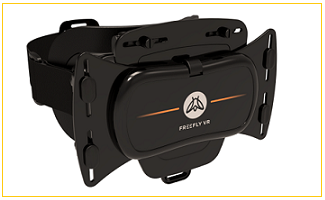 Freefly is one of the versatile virtual reality headsets suitable for variable sizes of smartphone screens. It can adapt sizes from 4.7 inches to 6.1-inch display. It is suitable for Android and iOS devices and has unique high-quality lenses. It is the most immersive headset in virtual reality market. It comes with HTC vive room scale tracking for safe experience and bespoke controllers allowing a user to walk around safely and have a great experience. It is one of the best-selling VR product in recent times right after Virtual reality revolution on Kickstarter back in 2012. It is seriously impressive without even being perfect. In 2014 Facebook took over the Oculus VR LLC with great plans for future. 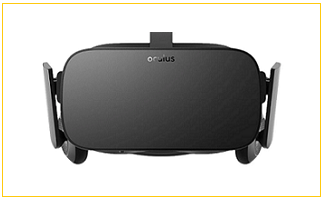 At a heavy marketing price tag of $599 (AUD 649 & 499 Euro), Oculus Rift is a bit costlier game. It has the capability to track your head in all directions and requires high-end gaming PC to give you complete virtual experience. 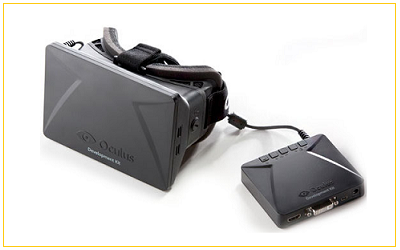 A full PC-connected headset comes as 'Oculus Dev Kit'. Buy Oculus VR headsets. Also see "Facebook Oculus $2Bn Acquisition" PC advisor says, still it is not the best. Oculus Rift, HTC Vive or Samsung Gear VR, Confused? Both Oculus Rift and HTV Vive have exactly similar specifications except exterior design features and of course their controllers. One uses Oculus Touch while Vive has SteamVR. Also, they will ship Xbox One Controller with Oculus Rift. One of the most noticeable requirements while considering these devices is their hardware compatibility to run smoothly. Note that Oculus and Vive need a high-end PC with a minimum i5 processor, Nvidia GeForce Video card while Samsung Gear VR can work smoothly with their high-end phones as well. This will definitely direct some of the VR enthusiasts to look for Samsung as an easy option. Vive has a special feature added. It has a front facing camera which enables users to see real world objects in front of them using one press button. This is called as 'chapter one' system. This is better for every user to at least stay connected with real world objects while they are enjoying their VR content with a single click. But all-n-all Oculus Rift and HTC Vive are two most prominent VR headsets right now in the market. PlayStation VR is an affordable option but still not as crisp as Oculus and Vive. You won't need to buy controllers with headsets compulsorily. Gizmag.com says VR projects will put Sony's PlayStation move motion controllers to end. It was unveiled at GDC 2016 in San Francisco and gives straight competition to Oculus Rift. It supports Windows 10 platform and works best. The great part is it does not need a high-end computer or even a phone to sync and works almost 'tether free'. 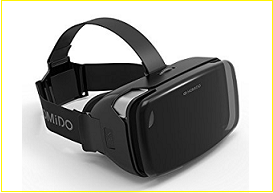 V2 is the upgraded version of Homido's previous Vr headset in 2016. With improved 100 degrees plus Field of view is a plus point in this version. Homido is a French company which has a serious battle against Chinese imports which tried to put their headsets business lag behind in term of sales. V2 is again bigger, with additional compatibility for latest smartphones and come with superior build quality. 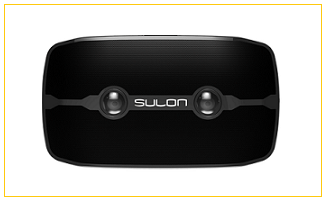 With adjustable pupil distance, now you can enjoy a blurr free video output with minimal interference. 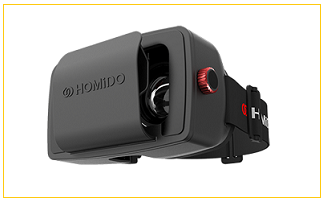 Homido V2 is tested to be one of the best yet VR headset for this year. It is a surprising news from Microsoft to come up with virtual reality products and it is welcoming too. 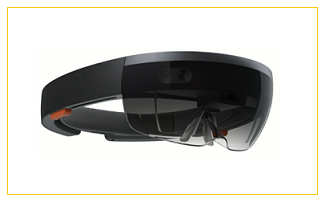 It works with Windows Holographic technology which adds 3D images around virtual reality content. 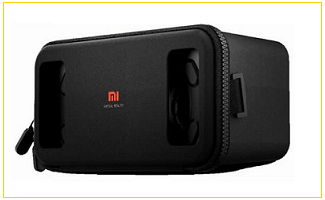 You may also like "Amazing Smartwatches Available Right Now in the Market"
Chinese smartphone major Xiaomi has brought us an amazing VR headset named "Mi VR Play" which is tethered to the companion app. 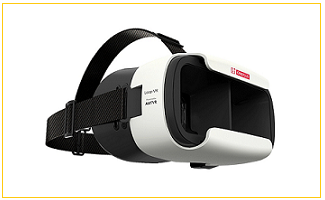 It has comparatively great VR content and works with any 4.7" to 5.7" Phone. The company promises a real experience with their own Redmi Note 3. Again design is very productive with attached zipper and currently available at limited number with the nominal price of 1 yuan. Huawei one of the Xiaomi's rival also have come up with 'Huawei VR headset" but with limited quality experience and support for only some of the P series devices. which will be updated in the market very soon. Neither it requires cables to be connected to high-end pcs nor any Display smartphone to show the content. Also, VR820 will smartly track your head, unlike most others. But sad news it Qualcomm will not sell their own product, rather they will sell their hardware design to other headset makers. The price range of this design will be much higher than those rivals or equal but surely not less. You can also listen to a live show recently held at Antena Documentary Festival in Sydney, on a topic "When Vr crosses the line" - recorded at Museum of Contemporary Art. 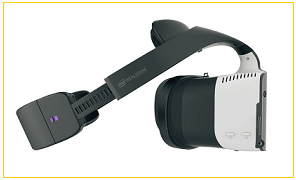 Meanwhile, INTEL, a Global technology giant recently launched "Project Alloy" - a mixed reality (VR + AR Included) headset with promising advanced features. It acquired a firm called "Voke" which is famous for their 360 degrees content on events like fashion shows and games. Intel is also reportedly launching a VR studio in LA. Confirmed from Engadget, they also purchased Replay Technologies for using their freeD technology to create "bullet time 360-degree replays. Project Alloy will need a Windows PC with Windows Holographic Platform (will be available soon by next year 1st quarter) First version of the device will be available from December and its hardware will be open sourced after 2nd quarter of 2017. The RealSense APIs will be opened soon later launch.